Attorney Nathan Dineen has fought and won very complex and difficult Wisconsin Drugged Driving cases. Police officers have a very difficult time determining if you are driving under the influence of a legally prescribed medications. This often results in overzealous prosecution of drivers who are simply following their doctors orders. Driving under the influence of prescription medication is an everyday occurrence for many. Recent studies show that almost fifty (50) percent of Americans are on some form of prescription medication. In response to the increased use of prescription medication by drivers, the National Highway Traffic Safety Administration (NHTSA) created a process called Drug Recognition Evaluation or DRE to determine if drivers are too impaired by drugs to operate a motor vehicle. What is a Drug Recognition Evaluation (DRE)? Step 1: An Alcohol Breath Test is given to determine whether any alcohol had been ingested. If the driver appears to be more impaired than the amount of alcohol, if any, reported on the breath test the officer has reason to believe drugs may be involved. Step 2: A DRE Officer will Interview the Arresting Officer regarding the initial contact with the driver and anything the officer observed or heard from the driver. Step 3: A Preliminary Examination is given to determine the driver’s pulse, pupil size, eye movement. Step 4: An Eye Examination is given to determine Horizontal Gaze Nystagmus (HGN), Vertical Gaze Nystagmus (VGN), and whether the movement of the eye is smooth or jerking. Step 5: The DRE will administer four Divided Attention Tests, which include: the Romberg Balance Test, the Walk-and-Turn Test, the One-Leg Stand Test, and the Finger-to-Nose Test. Step 6: Vital Signs, such as pulse, blood pressure, and body temperature are assessed. Step 7: Dark Room Examination: First the driver’s pupil size is assessed in the light of the room in which the driver is in, then the lights are turned off and the DRE will assess the pupil size with dim light and again with direct light from the DRE’s penlight. The second phase is an assessment of the nasal and oral cavities to determine scarring, abrasions, discoloring, etc. Step 8: The Muscle Tone Assessment determines whether the driver’s muscle tone is rigid, normal, or flaccid. Step 9: The DRE will assess whether there are any Injection Sites along the arms, neck, wrists, hands, etc. The DRE will also take a third pulse reading. Step 10: During the Interrogation of the driver, the DRE Officer will ask questions regarding what drugs the driver is currently taking. The driver should be advised of their Miranda Rights. Step 11: Based on the evaluation, the DRE Officer will pick a drug category they think the person is impaired by. Step 12: A toxicology assessment is administered either through blood or urine. The types of drugs a DRE Examiner looks for are Depressants, Stimulants, Hallucinogens, Disassociative Anesthetics, Narcotics, Inhalants, and Cannabis. Each of these drugs exhibits a different range of signs and symptoms in the 12 Step Evaluation Process. Through a process of elimination, the type of drug(s) the driver has taken can be narrowed down. You need a DRE Certified Wisconsin DUI Defense Attorney to represent you. If you have been charged with a drug-related OWI/DUI, Contact Attorney Nathan J. Dineen of Vanden Heuvel & Dineen, S.C. You may also complete and submit a DUI Case Review or contact him toll free at 1-877-384-6800. 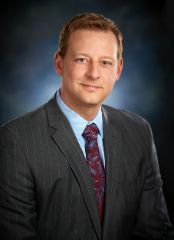 Attorney Dineen practices solely in DUI Defense, and is a member of the National College of DUI Defense. He is certified in the National Highway Traffic Safety Administration’s Standardized Field Sobriety Testing (SFST) and Drug Recognition Evaluation (DRE).